Both Sri Lanka and South Africa eye early honours in short T20I series. After an unexpected drubbing in the Test series, The African Lions roared back in the One Day International's to flat the Islanders by a humiliating 5-0 margin. 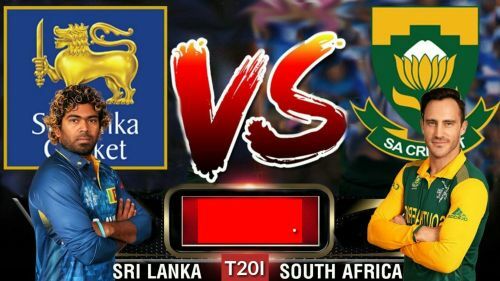 Now both South Africa and Sri Lanka will face each other in the final chapter of the ongoing tour in the three-match T20I series, with the first game scheduled to get underway on Tuesday, March 19 at the Newlands Cricket Stadium in Cape Town. Head to Head Overall Stats: In the shortest format, Both nations have gone head to head on 10 occasions, with the scoreline levelled on five each. Head to Head in South Africa: The Proteas have hosted Islanders in three T20I fixtures during Sri Lanka 2017 visit. Which they lost by 2-1 margin. South Africa aim to take momentum into the T20s. The Africans were ruthless during the 50 over games, and the hosts would love to bring that form in the shortest format and overturn the 2017 scoreline by squaring dominating wins over the visitors. The Africans are targeting this series as a platform to test their international reserves, as a result skipper Faf du Plessis and Quinton de Kock have been included for just opening game of the series. Both were leading run scorers during the ODIs with 272 and 353 runs and are most likely to trouble the opponents in the opening fixture. Aiden Markram and Rassie van der Dussen ate the other campaigners in the lineup with an ability to play big shots and the team will need these two to add some quick runs in the middle. Among bowlers, Lungi Ngidi and Kagiso Rabada have been rested for the lateral fixtures and will only feature in the series opener. Both were in good touch during the ODIs and shared 16 wickets between them and are likely to rattle the Islanders in the first T20I. While Beuran Hendricks was team's best bet during the recently concluded T20I series against Pakistan, the bowler played a key role by snaring eight wickets in the three-game series and will be expected to lay down a similar show against the Islanders. Faf du Plessis (C), Rassie van der Dussen, JP Duminy, Andile Phehlukwayo, Beuran Hendricks, Lungi Ngidi, Kagiso Rabada, Imran Tahir, Quinton de Kock (W), Reeza Hendricks and Aiden Markram. Sri Lanka eye revival in the preferred format. The Asians suffered a massive thrashing in the ODIs, which is enough to scatter any team's morale. 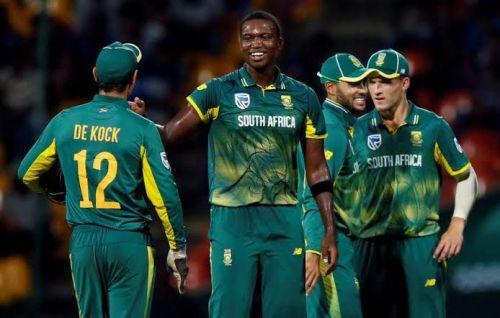 But they will take some confidence from their recent T20I record against the hosts, as they have beaten the Proteas in their last three games. Thisara Perera possesses an outstanding T20 strike rate of 154.91, and is among teams most experienced campaigner in the shortest format and the team will mostly depend on him to get them through to a competitive total. Kusal Mendis was visitors best batsmen during the ODIs with 202 runs and he will be backed to continue his run into the T20 format, while Isuru Udana, who showed a glimpse of his batting talent during the fourth ODI hitting a 57-ball 78 could be teams hidden anchor during the T20s. Lasith Malinga is visitors best bowler among the lot. The veteran is just six wickets short to register 100 in T20i cricket and he will be eager to cover up the difference as soon as he can. Dhananjaya de Silva was the only bowler to trouble the hosts during the One Dayers, and he will be backed to clinch few early breakthroughs. Lasith Malinga (C), Kasun Rajitha, Lakshan Sandakan, Niroshan Dickwella, Sandeep Samarawickrama, Kusal Mendis, Thisara Perera, Priyamal Perera, Akila Dananjaya, Dhananjaya de Silva and Isuru Udana.